Do you see water pooling where it should not? Is water pouring out of the seams of the gutters rather than the downspouts? ​You might have a problem. Let's face it, gutters aren't exactly the most exciting thing to think about or deal with. But, the reality is, an important part of property maintenance (especially in Florida during rainy season) is to keep gutters clear and functioning. If you don't, you're setting yourself up for mold and mildew, not to mention, compromising the longevity and stability of your roof. 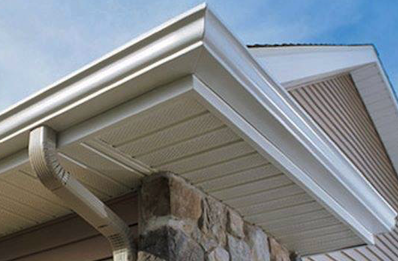 Designed to catch excess water, a gutter system channels water from the roof into a downspout. This prevents the water from falling onto the siding and/or collecting around the foundation of your property. Without proper gutters, i.e. those that don't leak or allow water to pool under eaves, your property is subject to structural damage from erosion. Catching leaks early on and getting them repaired quickly is key to home maintenance and roof integrity, especially in our tropical Florida climate. ​and we will contact you shortly.